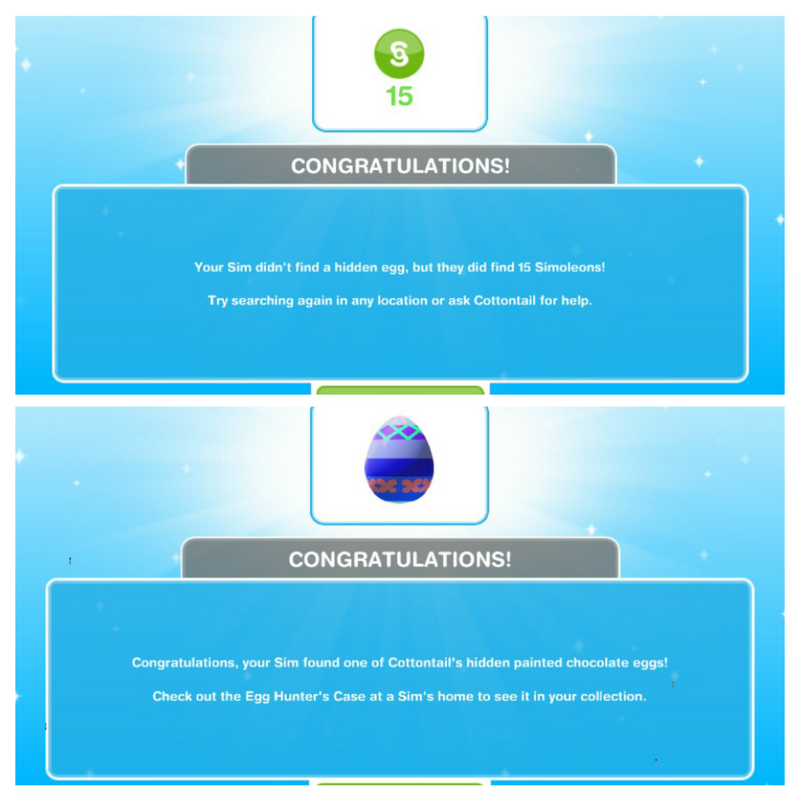 I’ve got 3 days left and now I have to search for 6 eggs.. that will only be half of the case filled once I’ve got those. I’m guessing there won’t be enough time to find all 20 because this quest takes sooo long! 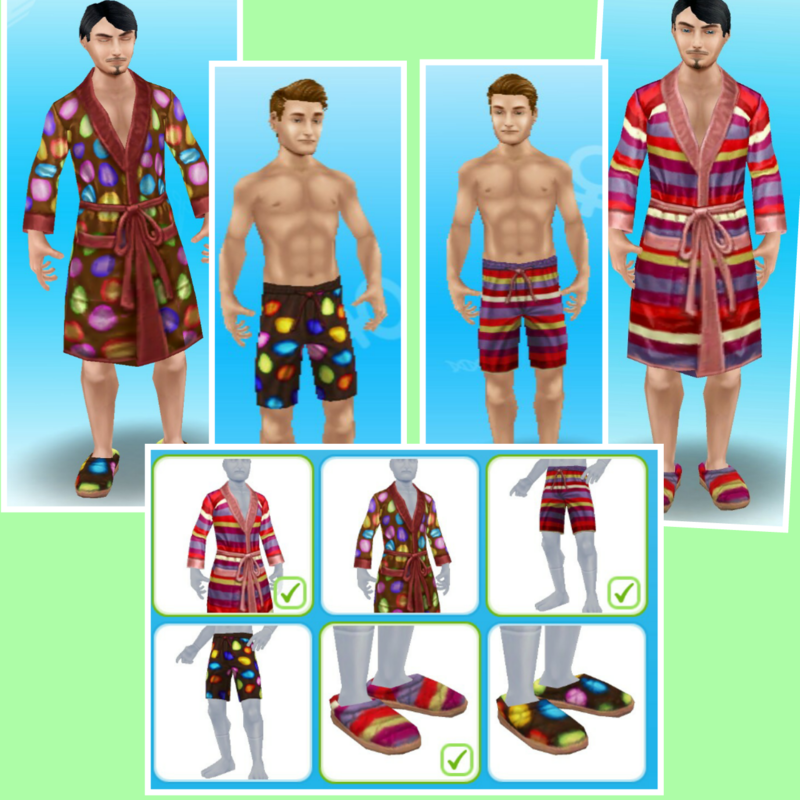 AND I’m dissapointed that the prizes are pyjamas, again, when we just literally had the sleepwear event! Set 4, which is the final set is to find the other 10- not going to be easy! Hi! my question is when you search for an egg and don’t find one can you or more importantly should you search again in the same place. I’m up to looking for 6 eggs and am running out of places to look. Perhaps in another house? Love your work. 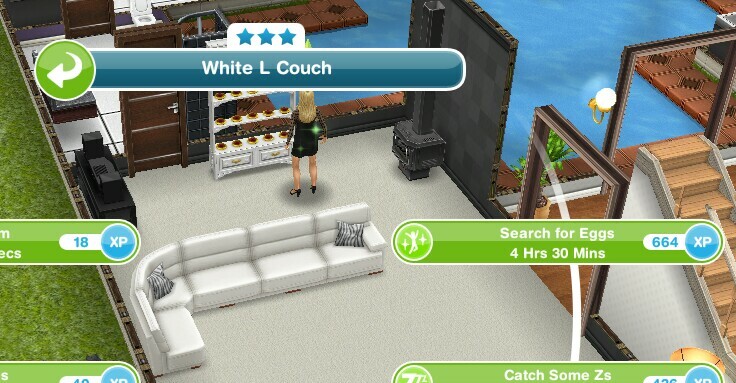 Have my hottest Sim named after you! Hey guys make sure you do not search in the same places for eggs. 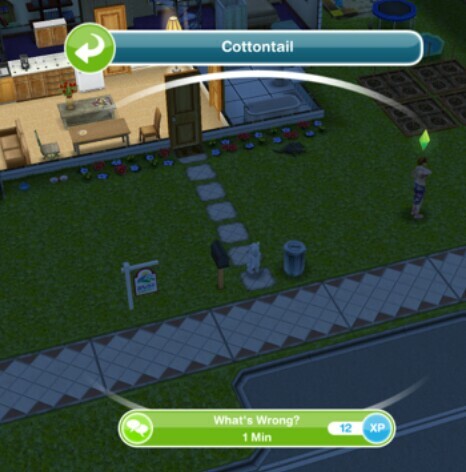 Usually that’s why your getting simoleons. Hopes this helps! 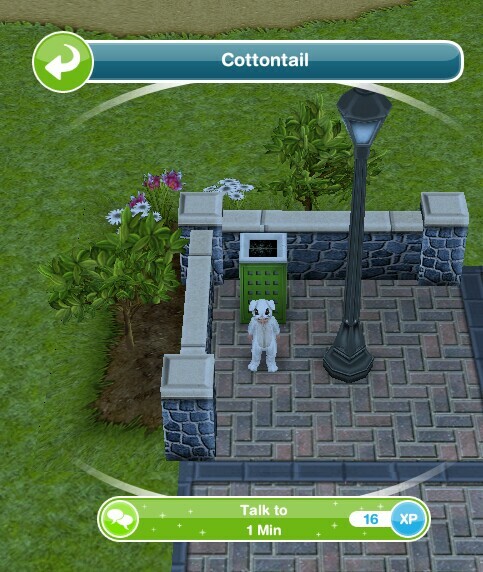 You can search in the same place, you find them randomly so you can still find them in the same place. Thank you for this, I really appreciate it! 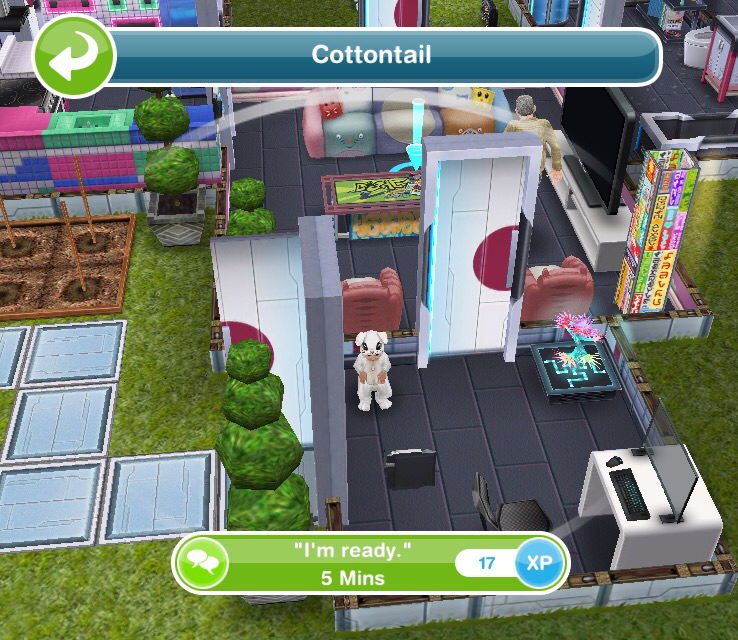 If you misplace Cottontail, just go to the town view. 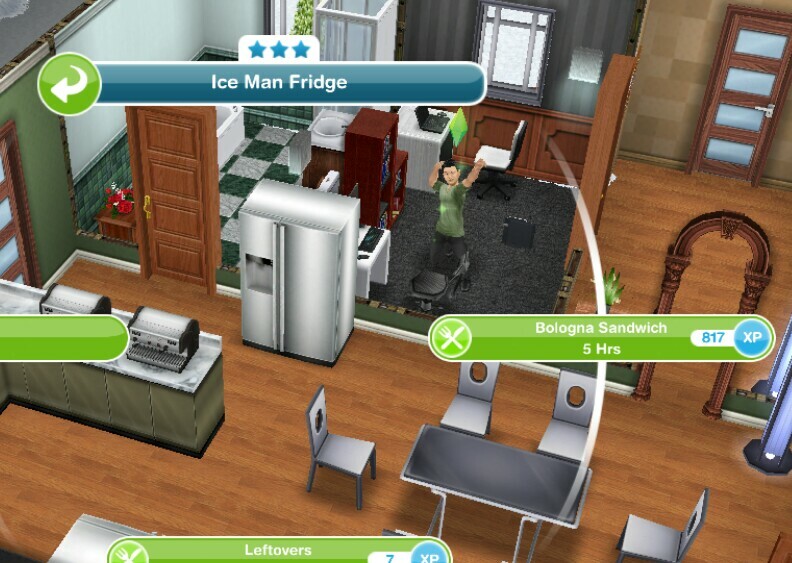 What ever house he is in flashes an egg, so you will see your main sim who lives there, then an egg, then your sim’s face again. So I’ve been searching for 6 eggs for a day and half and I’ve got only 2. 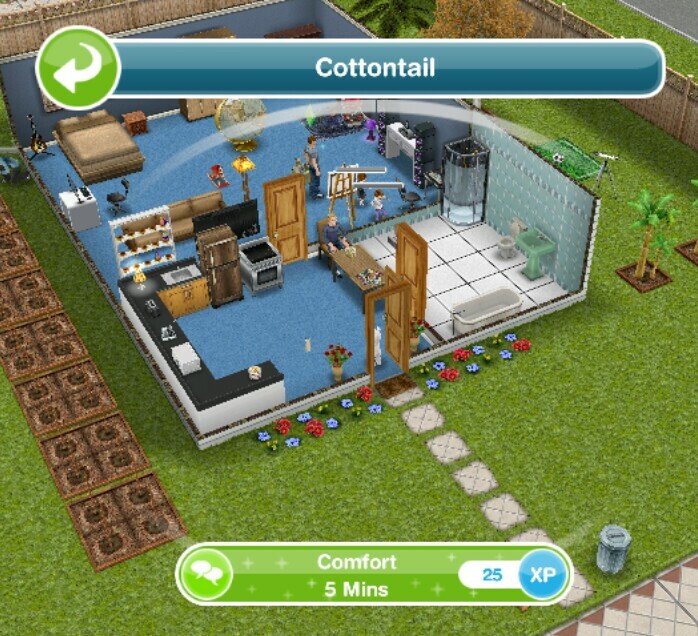 I got one from asking cottontail. So basically I’ve found 1 egg out of a possible 45 Surely this can’t be right? Anybody have any tips? 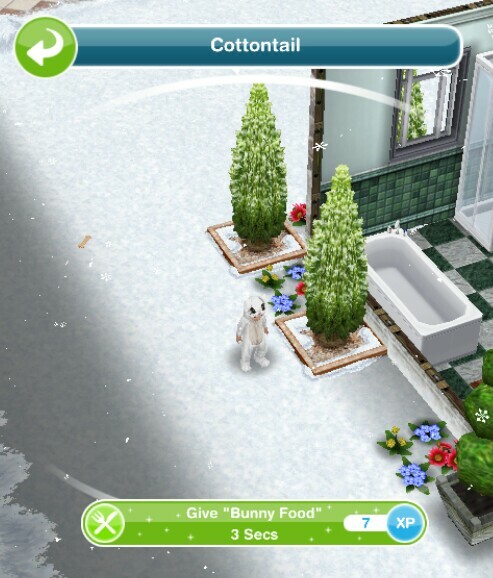 Twice I had Sims ask Cottontail for help and also had 3 Sims looking for eggs and both times the Sim with Cottontail just stopped and finished after about 2 hours, so stopped asking the rabbit now. Seems no point if it’s a wasted 22 hours anyway! Hello. I am currently in the second set of the quest. 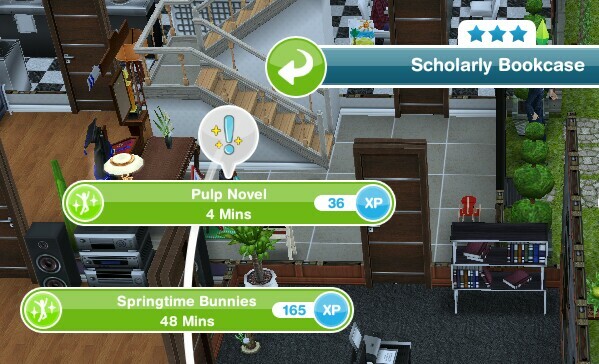 I have to find 6 eggs but I can only use 3 sims to search for them. I only found two. 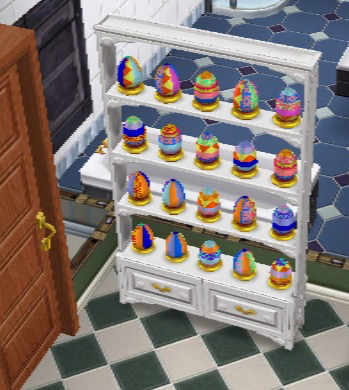 I have read in one of your comments that you could also search for eggs in another house even without the egg decoration. 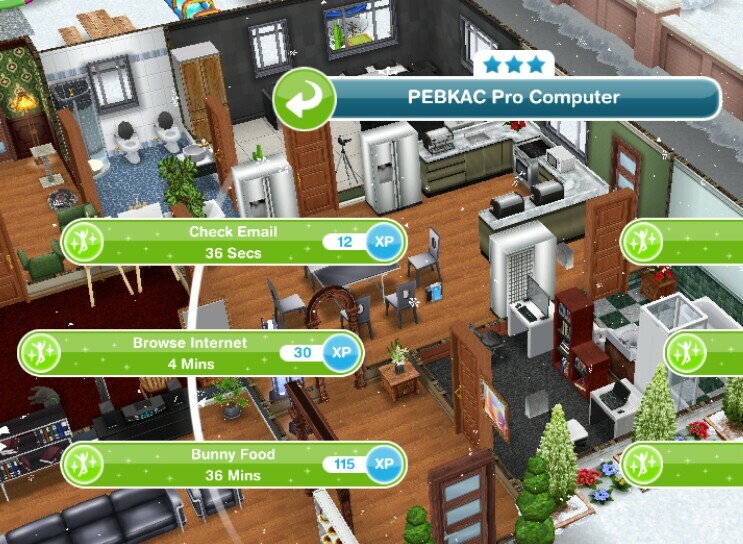 Can I also use 3 sims in another house as well to look for the eggs? 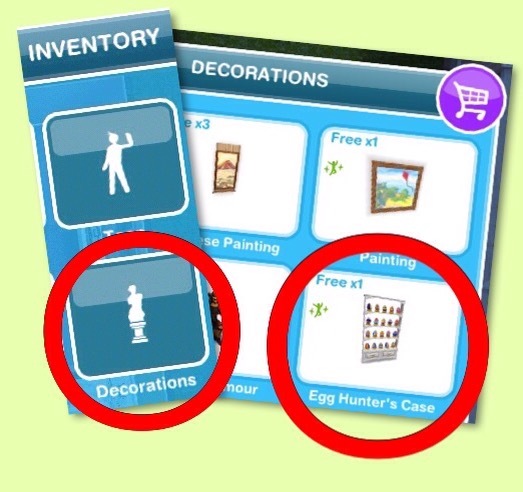 You can only use 3 sims in total to search for eggs, the house you choose is up to you, it doesn’t have to be in the house with the egg case but you can’t have more than 3 sims searching for eggs in your sim town at one time. On the quest when you go searching for eggs, do you HAVE to search inside the house? Can we search outside the house? 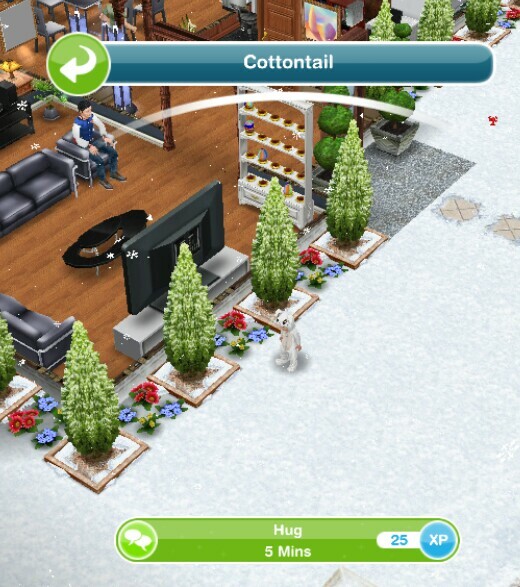 You can search outside too, trees work, anything that gives you the option to search for eggs works. How many sets are there? Just 3? 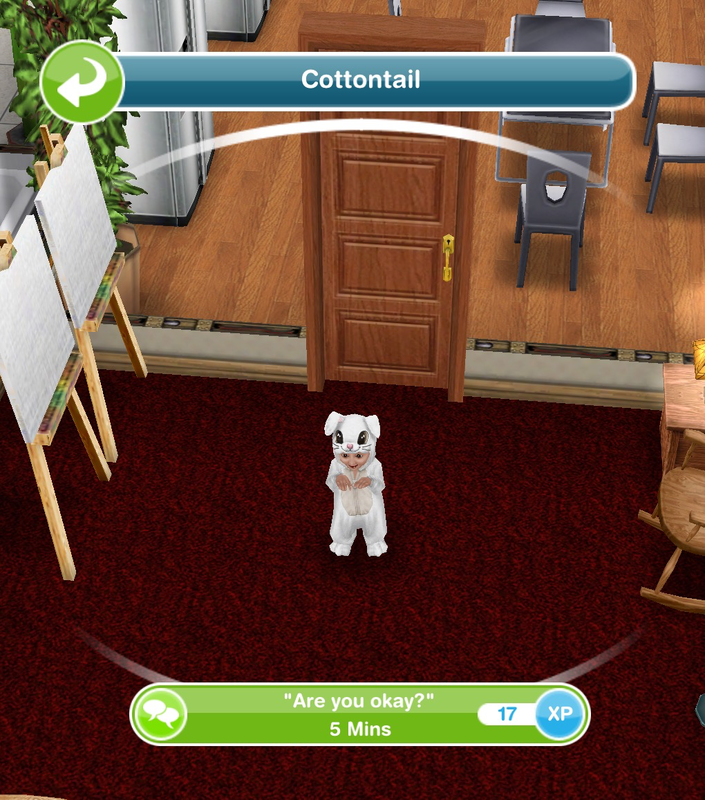 Is one of your sims currently asking him for help? I made a mistake you were right! 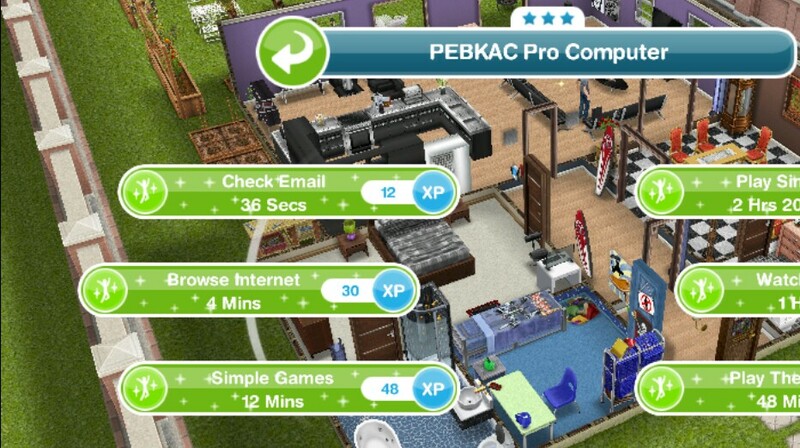 Stuck on the 2nd set for 2 days now, can only have 3 sims searching for eggs, can’t seem to put more at a time, can anyone confirm please? Right now I am at 2 eggs out of 12 searches(4 sets of 3). 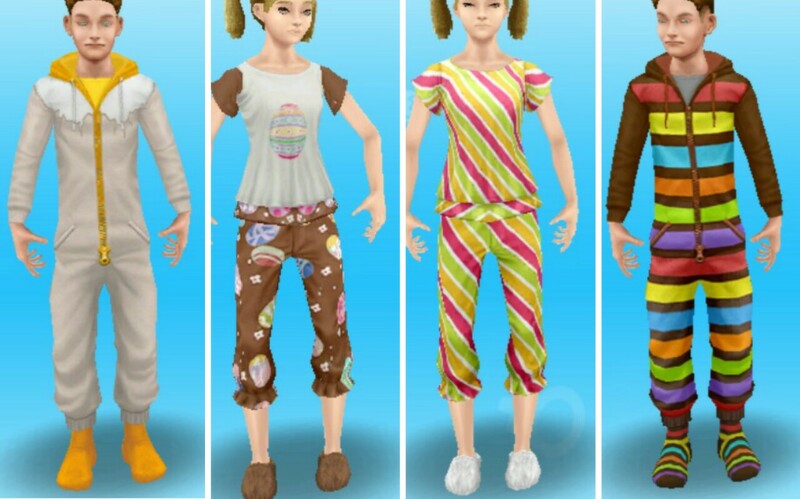 I got only less than 2 days, hope to get at least adult PJs. 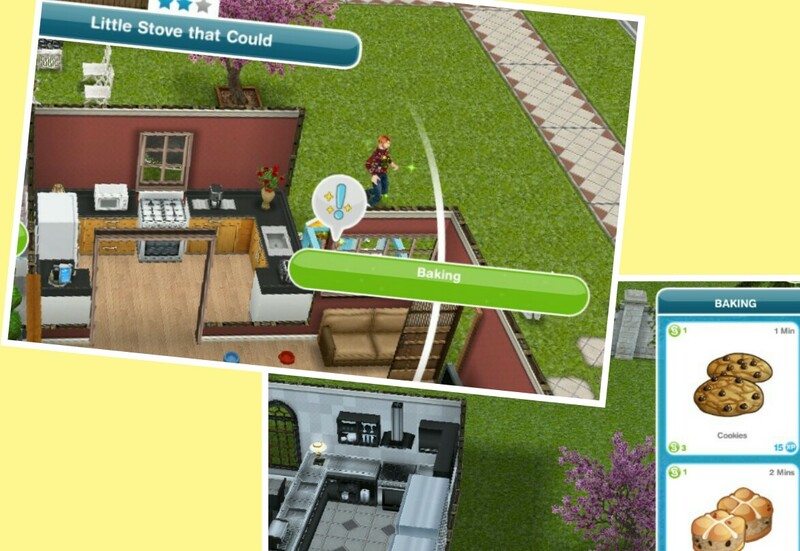 Sims went back to ‘want-you-to-insanely-be-active’ to be able to complete quests, hate that. Loved it when they changed the quest times to make it more doable in time limit, and now they are doing it for events. Hi! Love your blog. 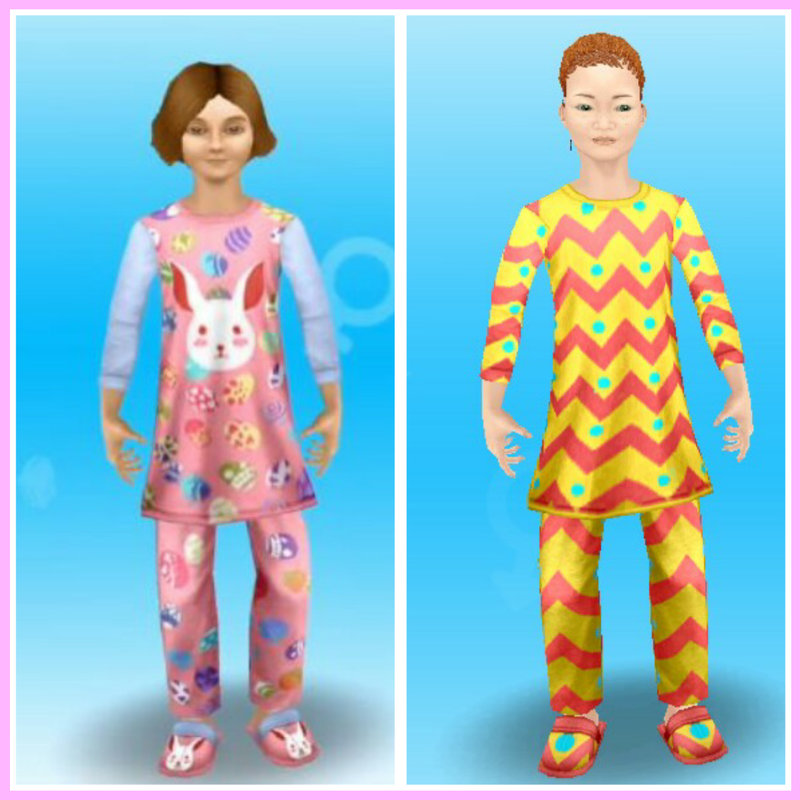 Don’t we get any toddler sleepwear? 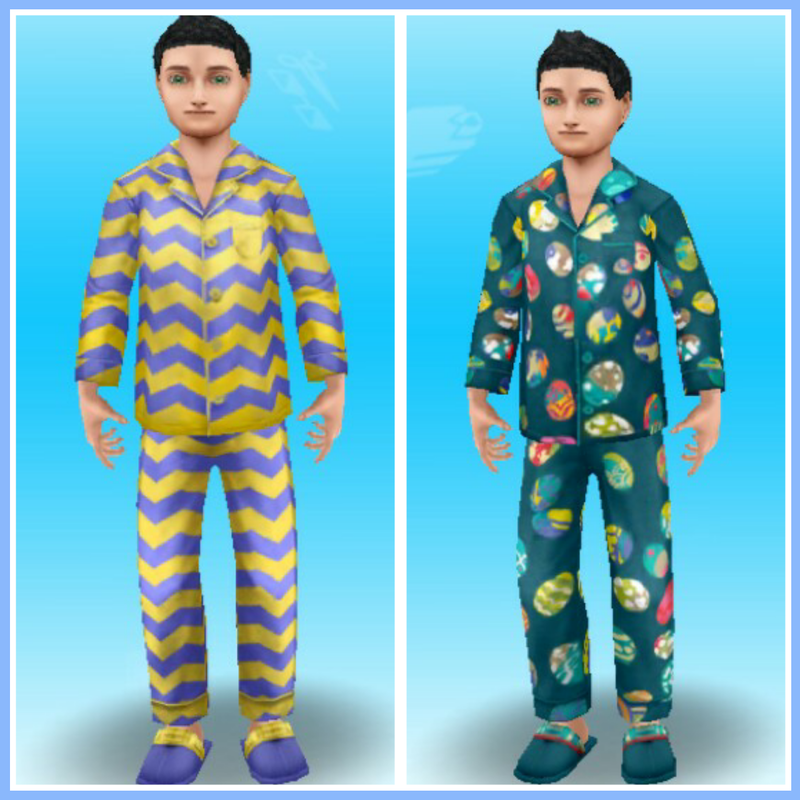 Still really cool, I keep missing out on the sleepwear quest, but now my sims (at least adults, haven’t got any more yet) don’t have to sleep in their underwear anymore! Hi, i at the last stage where the bunny has hidden eggs in secret locations, anyone k ow where that would be? Hi I’m currently on set 3 and I’ve been stuck on it for about 24 hrs and I’ve only managed to find one egg out of 6 and I’ve done it multiple times any advice? 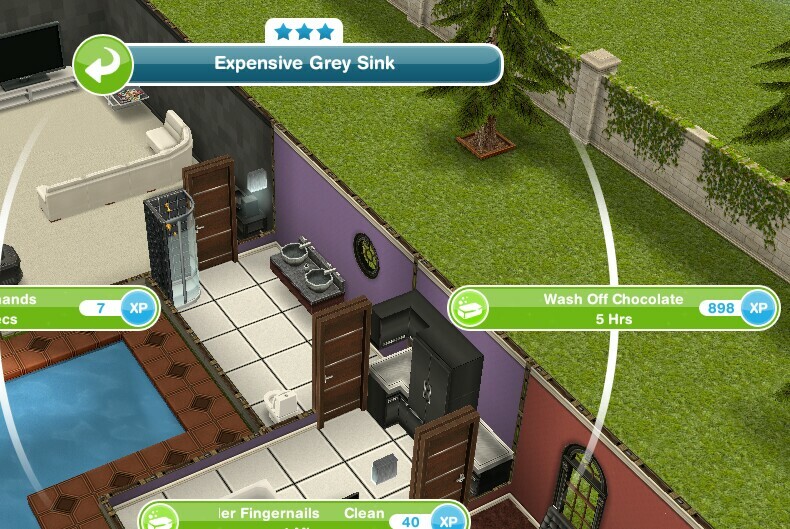 Its very difficult to give tips for this as you can find them randomly by searching any object. Are you using 3 sims at once? 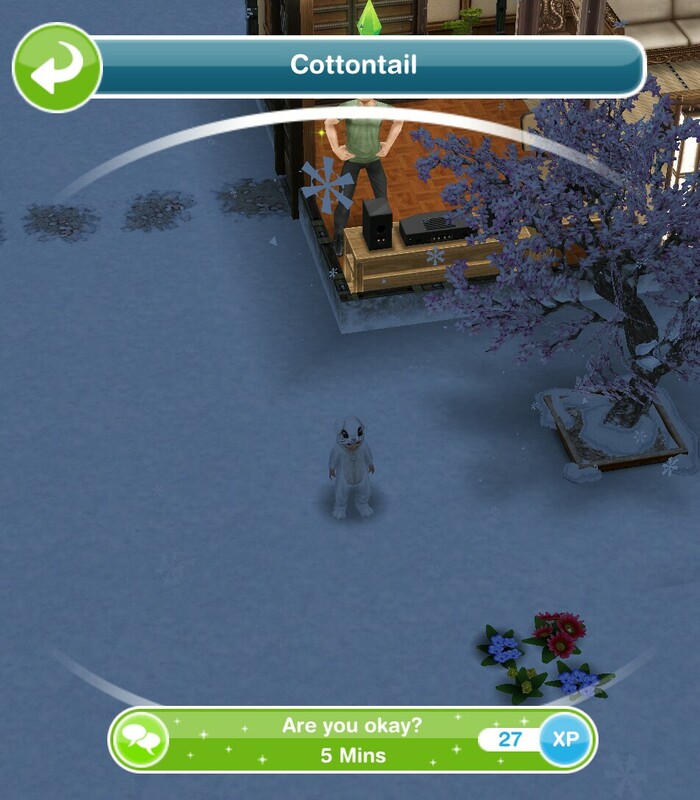 Have you tried asking Cottontail for help? When it says sale for the floor and wallpaper, are they meaning it is going to get more expensive or it is going to disappear? This has nothing to do with the quest, but I hope you have a nice vacation! Assuming you’re going on vacation, since you’re gonna be away. What items can be searched? It is random so it is impossible to say where you will find them, sorry! 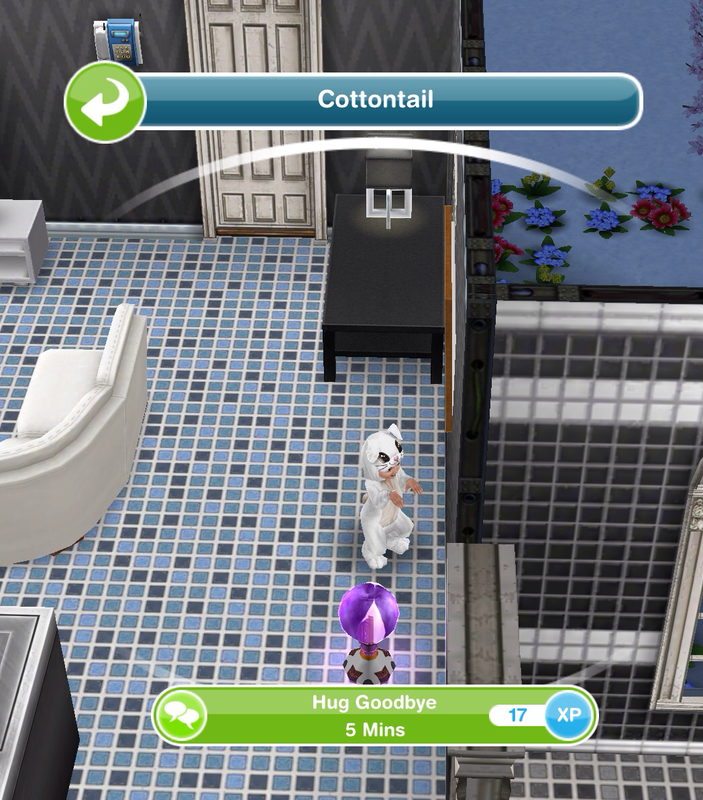 How effective is asking cottontail for help? It takes 22 hours but is it worth it? 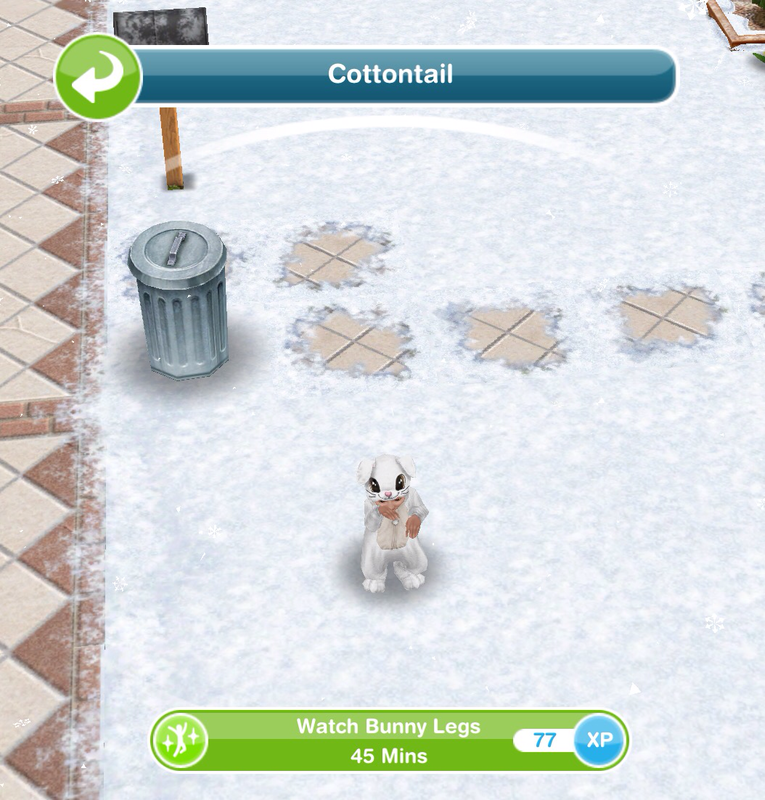 Asking cottontail is a waste of time. 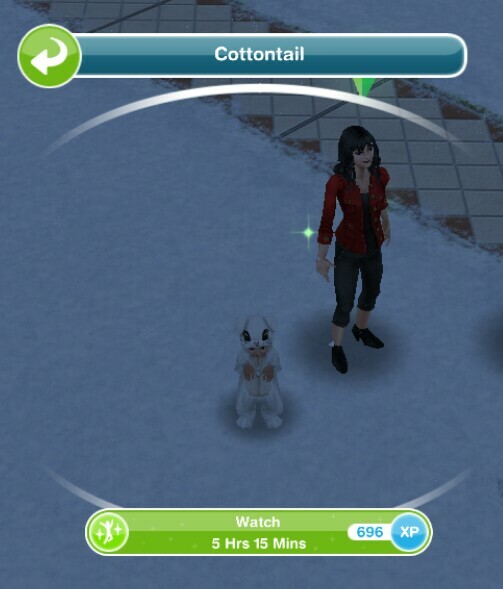 I’ve had one sim asking him a few times while my additional 3 hunted. I’ve got all the eggs now & am just finishing the challenge. I would say it is worth it, on the off chance that it takes longer than 22 hours to find the eggs yourself. 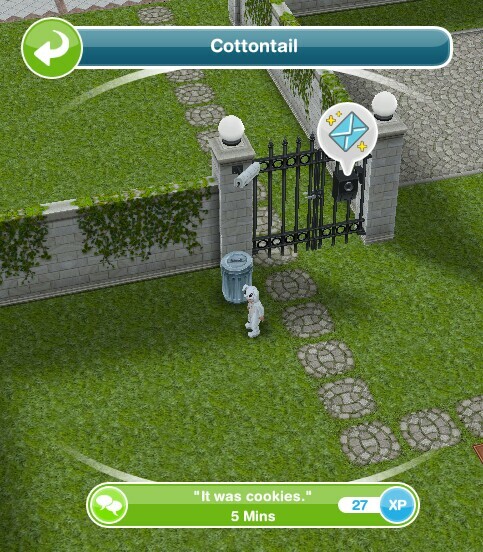 You should do it alongside searching for eggs on objects though. 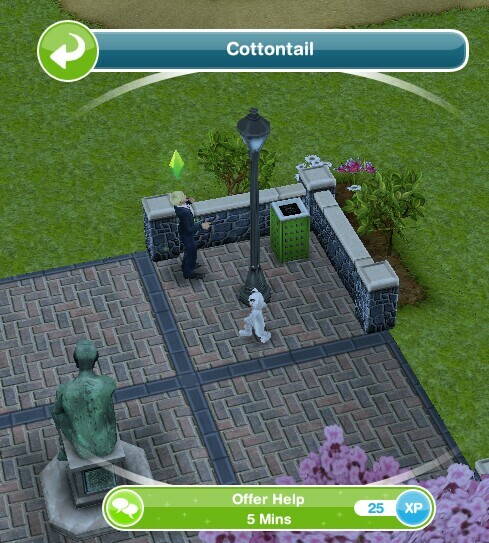 It essentially allows another sim to be “egg hunting”‘at the same time, just takes a bit longer. Unfortunately, it doesn’t always find an egg. You can always cancel once you complete the set. Hi, I realise it would be a guess but do you think this event would be repeated next year? Do they usually repeat seasonal events like this or create new ones? I don’t think I’ll get the last set without spending a ton of LPs! P.S. So sorry to hear about your lost game, hopefully EA will restore it for you. Don’t give up, keep bugging the hell outta them! 😉 I think you’re the reason why a lot of people continue to play this game, I wish you the best of luck. Seasonal quests aren’t usually repeated, they make new ones so it probably won’t be back next year but you never know! 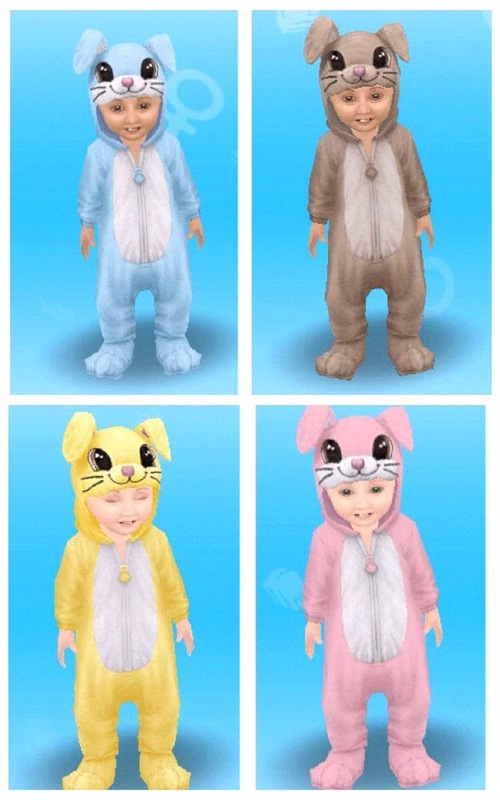 I have finished the third set, to get the onesies do I need to look for more eggs?? Thanks. Yes, there are 4 sets. I can’t figure out how to do the chocolate baking hobbie. I don’t know how to start it. I already finished the egg quest. Any clue how to do it? 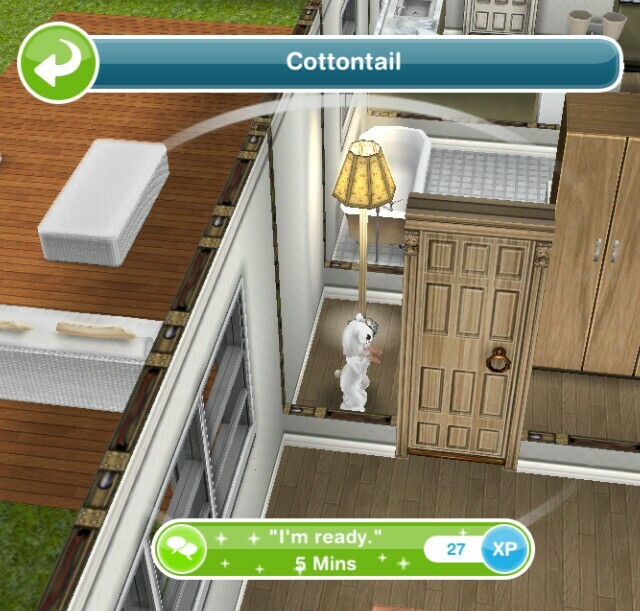 Is your sim not still asking Cottontail for help at a different house? Help! I finished the search for 6 eggs and it said come back in over a day but I had spent a while on that whole section. Did this happen to any one else? I think I was also about a day behind in starting the whole quest so I am afraid I will run out of time with only 2 days left. Thank you! 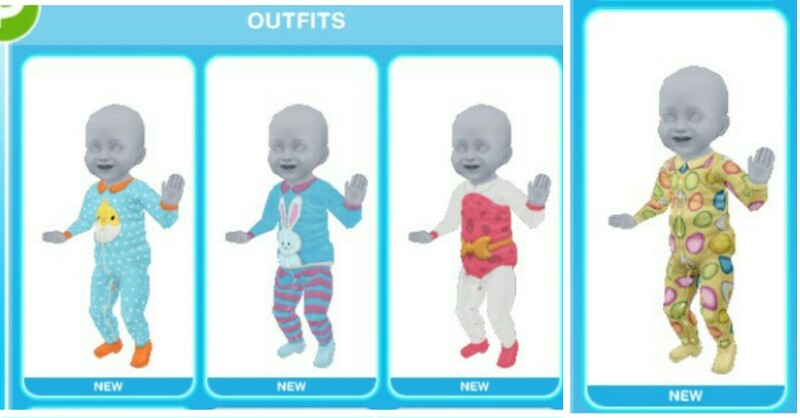 Babies are cheaper, baby supplies are cheaper, and even though I already have 5 kids ( I adopted 2) they let me add another baby. I am pretty sure that there is a baby related update/quest coming up. How can I submit my Easter Egg home? 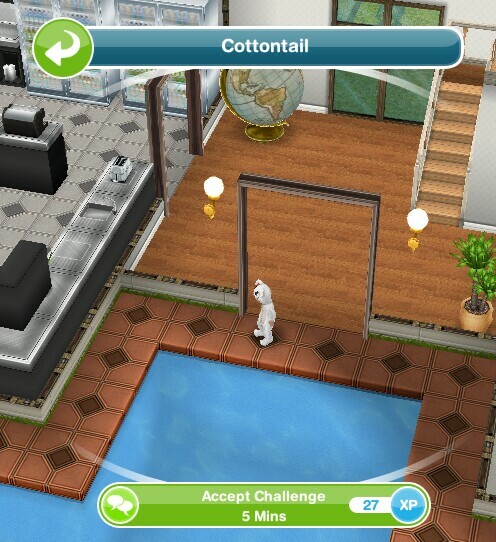 Is one of your sims currently asking cottontail for help? If so he won’t appear at the house you are at until that task is complete. Hi, do you know of anything we should get prepared with for the Chocolatier Special Event? Hi! I have a problem 😦 I don’t know how can my sims get married. I have only ‘date’ status. My ‘date’ status is full but the next one is not starts. I have new option ‘break up’ so I think that building relationships is different now (after Easter’s update of course). Do you think that this is a glitch? Have you completed the love is in the air quest yet? 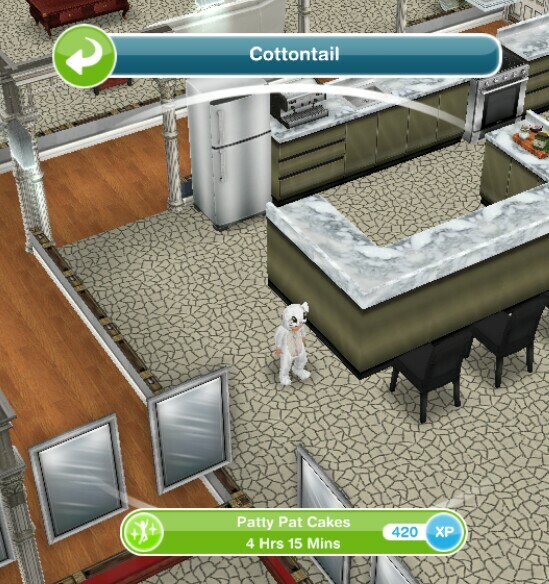 You need to complete that before you can get your sims married. Comments are now disabled on this post as I will be away from the 24th-28th March, during this time I will not be replying to any comments and this quest will be over by the time I get back!